ICANSHINE Inc. and The Children’s Institute partner to provide children with special needs a camp to learn how to ride a bike without training wheels! Children attend camp sessions for 5 consecutive days, each session is an hour and fifteen minutes long. Participants must be 8 years of age or older, a minimum height of 40 inches or minimum inseam measurement of 22 inches, and maximum weight of 220lbs. For more information, contact Alyse Roberts at (412) 420-2212 or ayr@the-institute.org or Staci Gratton at (412) 420-2248 or Stg@the-institute.org. 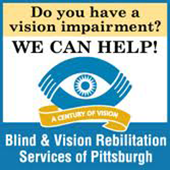 Blind & Vision Rehabilitation Services of Pittsburgh's Summer Youth Program is for students who are blind, deaf blind or visually impaired. This five-week summer Career and Community Adjustment Program helps students ages 16 through 21 transition smoothly into work and adult life. For information, call 412-368-4400 ext. 2246. Weekend Camps are offered for individuals of all ages with intellectual and developmental disabilities. A Camp ACHIEVA information form must be completed and received at least one month prior to attending a requested weekend camp. 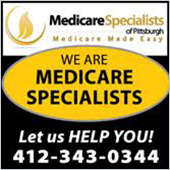 Contact Karen Vodenichar at (724) 775-1602 ext. 10 or kvodenichar@achieva.info. This special summer camp program sponsored by the Pennsylvania Commonwealth Division of the American Cancer Society provides children with cancer the opportunity to enjoy a traditional summer camp experience. Any child (age eight to 17) who is or has been treated for cancer in Pennsylvania or Delaware, or who lives in Pennsylvania regardless of where they receive treatment, is eligible to attend Camp Can-Do. Two week-long sessions are held each August at beautiful Mt. Gretna in Lebanon County. Camp-Can-Do is provided free of charge to cancer patients. 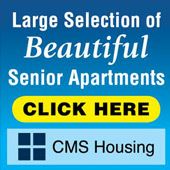 For more information, call (717) 273-6525. 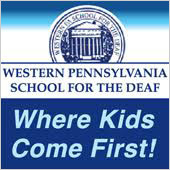 The Western Pennsylvania School for the Deaf is proud to offer a camp experience for Deaf and Hard of Hearing children, between the ages of 7 to 17. WPSD's Camp Discovery offers campers an exciting week of activities and events that will be sure to create life-long memories and friendships. Their are a limited number of slots so be sure to sign up early. Please visit psd.org for more information and to register online. At YMCA Camp Fitch, North Springfield, PA (near Erie), Camp Frog is a fully integrated week-long overnight camp for children ages 8-17 (having completed 3rd grade but not yet graduated high school) with a primary diagnosis of epilepsy. Camp Frog staff includes a neurologist, nurse, and specially trained counselors. 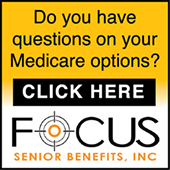 Please call for more information and eligibility requirements 1-800-361-5885. Camp Huff-n-Puff is a four-day overnight camp adventure for children aged 8-13 with asthma. Camp is held each August at the Jumonville Camp and Conference center in Hopwood, PA. A dedicated group of volunteer physicians, nurses, and respiratory therapists work alongside camp counselors to ensure that all campers have a safe and fun experience. 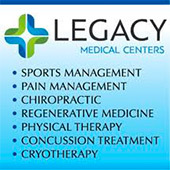 To register, visit www.healthylungs.org or call (800) 220-1990. Camp Laughalot, a popular inclusive day camp for children and adults with developmental, intellectual and physical disabilities, and mental illness, is offered by Arc Human Services. The camp takes place twice each year; there is a seven-week summer camp plus a one-week winter camp, during school break between Christmas and New Year’s Day. Participants must be at least five years old, and there is no upper age limit. Camp Laughalot is in its nineteenth year of operation and is attended by 60 or 70 participants, with a staff of 25. The camp takes place at the Vernon C. Neal Sportsplex, an indoor recreation center in Washington PA, Monday through Friday from 8:30 am to 2:30 pm. The 2018 summer camp begins June 18 and ends on August 3, with an agency-wide carnival which the public can attend. Quimber Nutter, Activities Coordinator for Arc Human Serv­ices, manages Camp Laughalot, which consists of a wide variety of structured, supervised activities: arts and crafts, music, games, swimming, dances, parties and field trips. The registration fee is $100 per week, which covers all activities, the swimming pool, and outings plus lunch. 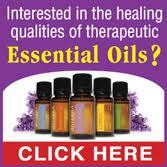 Financial assistance available. To register for Camp Laughalot, go to www.aadvantageinc.org/camp-laughalot.html. 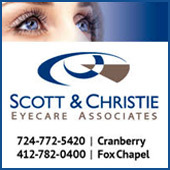 To contact Quimber Nutter, call 724 222-6960 ext. 225, or email nutter.quimberkay@ aadvantageinc.org. Camp Success is a family enrichment program offered by The Children’s Institute of Pittsburgh. It is an accessible, inclusive, non-therapeutic, single-site summer day camp for children with and without disabilities. The camp accommodates children ages 6-12 with physical, sensory, emotional, behavioral and cognitive needs. Often these families struggle to find summer programs for their children because of barriers created by expense, transportation, exclusion of non-disabled siblings, and inability to accommodate children with behavioral problems. 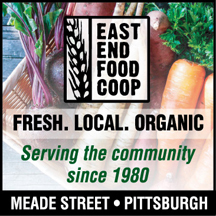 Camp Success serves Pittsburgh’s East End and surrounding communities. For more information, contact Amy Haid at (412) 420-2316 or aeh@the-institute.org. New Story’s Extended School Year Program runs from July 2 – Aug. 13 in each of its locations. Visit www.newstory.com for more information. 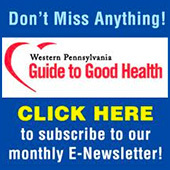 New Story operates therapeutic programs during the summer months throughout Pennsylvania. Our Summer Therapeutic Activity Programs (STAPs) are designed to meet the needs of children with the most serious and/or complex behavioral challenges. New Story provides a day program offering recreational and social activities within a therapeutic environment to support each child’s continued growth and development. For more information or to request an application for STAP in Western Pennsylvania, contact Tracy Serbian at tserbian@newstory.com, or call (724) 463-5390 ext. 228. The Watson Institute offers several summer programs for children and adolescents with special needs. Registration begins in February. ESY (Extended School Year) is designed for children with special needs who qualify for ESY services. ESY at The Education Center in Sewickley, PA, in accordance with a student’s IEP, consists of adapted educational and therapeutic services for children with autism, cerebral palsy, muscular dystrophy, neurological impairments, developmental delays, brain injuries and other impairments. Age ranges are 5-21. ESY at Friendship Academy is designed for children with emotional needs who qualify for ESY services and who would benefit from educational/therapeutic programming. In accordance with the student’s IEP, Friendship Academy’s ESY program is designed to facilitate progress towards individualized academic and behavioral goals throughout the summer within a structured learning environment. Age ranges are 5-21. 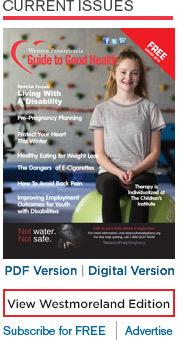 SCALE (Social & Community Activities for Life Experiences) is an ESY program specifically designed for adolescents in their transition years who are currently participating in Autistic Support and Life Skills curriculums. The SCALE program offers a “hands-on” approach to developing vocational, social and functional community skills while promoting awareness and independence in the community. STAT (Summer Therapeutic Activities for Teens) is offered at The Watson Institute’s Sewickley, Sharpsburg and Upper St. Clair sites for teens with Asperger’s or High-Functioning Autism. 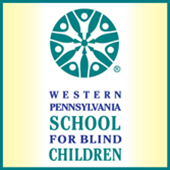 WISP (Watson Institute Summer Program) is offered in several locations throughout the Pittsburgh area, providing children with autism spectrum disorders ages 6-14 an opportunity to enjoy a summer camp setting with their typically developing peers. Visit www.thewatsoninstitute.org for more information.